It has become somewhat of a tradition to kick off the Horror October proceedings by reblogging my favourite read from the previous year. Back in 2014, Horror October #2 saw me reblog The Coldest Girl in Coldtown by Holly Black, followed by Wakening the Crow by Stephen Gregory in year three. And last year I took another look at An English Ghost Story by Kim Newman. To be honest, I struggled to decide this time. Although last year’s Horror October was a brilliant month, none of the books I read for it truly stood out. I enjoyed nearly all of them, but I wasn’t completely blown away by any single book. I have however decided to reblog my review of Poppy Brite’s short story collection, Self-Made Man. Out of all the books, this is the one that has stayed with me the longest. Disclosure? Nope, I borrowed it. This collection of 12 short stories from Poppy Brite contains collaborations with Christa Faust and David Ferguson and an introduction from Peter Straub. The collection also includes America, which features Steve and Ghost, the central characters in Lost Souls. For Horror October, I decided to read Self-Made Man, a book of short fiction by Brite that I’d never got round to buying. My friend Dora found it in a charity shop and lent it to me. I was dubious after not really loving Love in Vein, another story collection of his. Short stories just don’t seem to be my thing, even by authors that I love. However, I was pleasantly surprised by Self-Made Man. It begins with a very short story written from the perspective of a maggot in a slaughter-house which is basically a showcase for Brite’s ability to make disgusting, putrid things sensual. Arise, is a story about Cobb, a reclusive ex-pop star who faked his own death, who hears that his old band-mate has died. He then gets a mysterious letter saying that he has left his secluded house to him. Did he know all along that Cobb was alive? And why would he leave his house to him? I really liked this story. It had twists and turns and lots of intrigue. The titular story, Self-Made Man was a hit too. It’s very much in the same breath of novel, Exquisite Corpse, based on cannibal Jeffrey Dahmer. It’s not for the faint-hearted. Vine of the Soul was a winner too, which reunites us with two characters from Drawing Blood. The rest of the stories I could take or leave, but my favourite part of this book was the author’s notes on each story. Fascinating, as ever. This short review was posted as part of a spotlight on the author, written especially for Horror October 2016, which you can find here. Weycombe is the chocolate-box village of everyone’s dreams. For American Jillian White, a gated life of pleasure and comfort with her titled English husband was a fantasy come true. But the murder of a local estate agent mars the village’s so-pretty surface. Are people actually dying to live in Weycombe? Jill investigates, piecing together clues along the snaking paths and winding lanes of her adopted village. She knows truth has many versions, depending on who is doing the telling. And that few can be trusted in Weycombe, where nothing is as perfect as it seems. I was completely in the mood for a nice cozy mystery in a luxurious setting when I picked up this book last weekend, and I got it in spades. Weycombe is a place where people dream of living; a beautiful, idyllic village running along the river Thames where houses can only be afforded by the mega rich. It’s also a place where everybody knows everybody’s business, and if they don’t, they do their best to find out! This turns out to be a bit of a problem when one of the villagers, the incomparable Anna is found lying dead in her brand new running shoes. Village gossip has just been kicked up a notch. Our protagonist is Jillian, an American, the forever ‘outsider’, who is in a failing, loveless marriage and out of work. Jillian is the one who discovers the body, and needing something to occupy her, she takes it upon herself to find out as much as she can about Anna’s secretive life, and the mystery of her death. I really enjoyed this book, but it won’t be for everyone. It’s quite a traditional, ‘old school’ type mystery that unfolds very slowly. At first, I enjoyed the slow pace of it – perfect for a lazy Sunday afternoon – but at some points I did drift away from the story and wished there was more to keep me focused. Weycombe is a good whodunnit. The large cast of characters are interesting, and all have different secrets and flaws. It kept me guessing just enough, but it was a bit of a struggle to get to the end to be honest. The main thing I loved was the setting. I’m intrigued by the dynamics and social politics of village life, which always works great for a murky mystery. The main thing that didn’t work for me, however, was Jillian. I could relate to parts of her character, but I never fully warmed to her. And I thought the link between her being unhappy (and not having much going on in life at that moment) and her deciding to investigate a murder was a bit of a stretch. Her background of working in media seemed to be the author’s reason behind her thinking she was qualified to act detective. Hmm. I know that regular folk sticking their noses into an investigation is a common thing in mysteries, but it didn’t feel very genuine on this occasion. Overall, Weycombe is a classic murder mystery with lots of intrigue. If you’re looking for a gentle whodunnit to while away the weekend, give it a try! Do you ever request a book on Netgalley and then weeks later wonder why? That’s what I did with this book. I don’t like dogs and I hate football so what possessed me to request a book about a dog called Lineker and his 90s-Football-Mad owner is beyond me. But guess what? This book was brilliant! Maybe a higher power was at work there. The Last Dog on Earth is set in the near future, after London has been desecrated by a war. A lot of people died and the rest moved away from the hostile city leaving Reg, a recluse and his dog Lineker practically alone in Peckham. Reg can’t imagine moving. He hates change and doesn’t see any need to leave. The fact that everyone else has left is just a bonus. Lineker loves Reg more than anything. His aim in life is to make Reg happy, but he definitely misses all his old friends on Peckham Rye. The Last Dog on Earth is written from Lineker’s perspective and mainly in diary format from Reg’s. I think it worked perfectly. Lineker has a penchant for rhyming slang and loves a good rant. I thought he was hilarious. And it really reads like the mind of a dog; I thought it was a genius stroke by Walker. Even a self-confessed dog-hater (OK that’s a bit strong but sue me, I’m cat lady all the way) like me instantly fell in love with him. There is so much good stuff in this book, I want to throw a million quotes at you. The story really takes the reader on an immersive journey and actually the events themselves are pretty horrific but the humour lifts it immensely. It’s a book that makes you think, and that’s what surprised me the most I think. What I probably should mention is the language. Lineker is a Class A potty mouth, and pretty vulgar at times. I loved it, but some readers might have issues with it. In fact, the only thing I can criticise about this book is that I wanted more narration by Lineker. As the story went on we get Reg’s POV a lot more and that slowed down the pace of the book for me. But I still couldn’t put it down. Overall, TLDOE is a pretty bleak look at humanity, and a timely, poignant tale considering the world’s current political climate, but it’s extremely entertaining too. I laughed so much! Disclosure? Yep, I received an advanced copy in exchange for an HONEST review! In the tumultuous years of the Civil War, the streets of Chicago offer a woman mostly danger and ruin-unless that woman is Kate Warne, the first female Pinkerton detective and a desperate widow with a knack for manipulation. Descending into undercover operations, Kate is able to infiltrate the seedy side of the city in ways her fellow detectives can’t. She’s a seductress, an exotic foreign medium, or a rich train passenger, all depending on the day and the robber, thief, or murderer she’s been assigned to nab. Inspired by the real story of Kate Warne, this spirited novel follows the detective’s rise during one of the nation’s greatest times of crisis, bringing to life a fiercely independent woman whose forgotten triumphs helped sway the fate of the country. I didn’t know what to expect from Girl in Disguise having not read Macallister’s debut novel The Magician’s Lie or knowing much about the Pinkertons/ that era of American history to be perfectly honest. However, I do enjoy a good historical yarn now and then as long it’s not too bogged down in facts and figures, so I was eager to give it a try. We first meet Kate Warne – famous for being the first ever female detective – when she is setting out to be just that. She answers an ad in a paper knowing full well that it will be difficult to persuade them that she’s the right man for the job, as it were. But of course she does, and so we follow Kate as she begins her training with Allan Pinkerton to learn everything she can about being an undercover operative. Kate has a bit of a shaky start, including a run-in with colleague Bellamy but after that we watch her go from strength to strength and become more confident and cunning in her abilities. I really enjoyed Macallister’s take on Kate Warne. She could probably come across quite cold and stern to some but because we hear the story from her point of view we know differently, we know it’s merely a self-defence tactic which is necessary for her to adopt considering all the things that are stacked against her. The main one of course being that she is a woman in a time where ‘respectable’ women aren’t even supposed to have jobs, never mind this kind of job. I think that sort of double-standards still rings true today. There is also the character of Deforest who Kate – whilst working on her tracking skills – discovers he is harbouring a secret that would see him hanged – he’s gay. Kate and Deforest’s friendship was my favourite in the novel, and I liked how the author captured her initial reaction and how her attitude towards him changed throughout the book. It rang true to the era and didn’t take the easy route of making Kate completely ambivalent towards it. Macallister has done a great job in researching the real Kate Warne and building on that with her own version of the detective. Like I said earlier, I’m not a fan of historical fiction when it’s all facts and no storytelling but there was definitely a lot of storytelling here, with the facts seamlessly embedded. I thought some of Macallister’s descriptions were lovely too, making it a compelling read. My one critique is that first half of the book felt a bit like a montage of events which made the pace nice and fast but I longed for more detail; it sometimes felt like Macallister was trying to fit too much in at once. She could have concentrated on just one or two of Warne’s interesting cases rather than an overview of many. This was most definitely improved on in the second half of the book though. In this novel we see Kate Warne’s rise and fall, and the changing attitudes towards her from those around her. It’s a fun, rollercoaster of a read, and one which reads as a love letter to plucky women whose actions make the world a better place. Therefore it’s bound to be called a great feminist story, but I’d prefer to just call it a great story, Full Stop. Glorious new collaboration from the New York Times bestselling authors of Nick & Norah’s Infinite Playlist. I was a little bit disappointed by this latest collaboration from these two get authors, probably because the bar was so high. I wanted to love it as much as Dash & Lily’s Book of Dares and Nick & Norah, but something was definitely missing. This story is all about Lily’s holiday funk. She is depressed and even Christmas, her favourite holiday, and Dash, her favourite person can’t cheer her up. I didn’t dislike this story at all, but it really suffered from Dash & Lily’s lack of connection. Their romance was at the heart of the first book, and without that, there wasn’t a whole lot left to be honest. It wasn’t serious enough about Lily’s angst and ‘issues’ for it to feel like a YA book that was cleverly tackling the issue of depression, instead the wishy-washy underlying theme of depression put a downer on the book itself, for me. Thankfully it had a happy ending or I’m not sure I could have coped. There’s just something about Lily’s sunny disposition that doesn’t suit being unhappy so instead of making me feel sad for her, it just annoyed me. Sorry, Lily! Overall this was an OK story. It was a super-quick read that was written nicely. But it wasn’t anything exciting or surprising, and it didn’t feel nearly festive enough! I’ve fallen behind of late, so before I completely forget about these books I thought I’d do a quick catch-up in the shape of some teeny tiny reviews. Disclosure? Nope, I borrowed it! A hanged man would say anything to save his life. But what if his testimony is true? When Inspector Ben Ross is called to Newgate Prison by a man condemned to die by the hangman’s noose he isn’t expecting to give any credence to the man’s testimony. But the account of a murder he witnessed over seventeen years ago is so utterly believeable that Ben can’t help wondering if what he’s heard is true. It’s too late to save the man’s life, but it’s not too late to investigate a murder that has gone undetected for all these years. I initially picked this book up because it’s set partly on Putney Heath, which is where I lived when I was at uni. I like reading about places I know well, to see how the author portrays them, especially in another era. 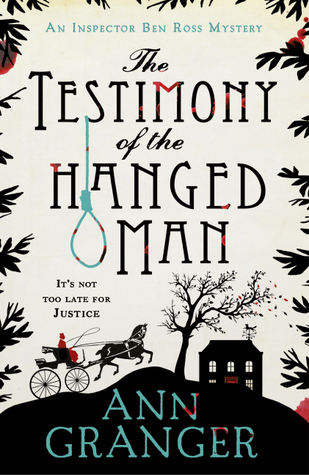 The Testimony of the Hanged Man is set in Victorian London, and is a classic mystery which unfolds at a slow pace. I think if I read it all in one go, I would have enjoyed it more, but I only managed a few pages at a time. However, I still enjoyed it – and despite my pet peeve of alternating narrators too. If you like traditional, light-hearted, Victorian detective fiction, give this series a go. I’ve wanted to read some of Dahl’s adult fiction for ages so I picked this up for my lunch-time read when I spotted it in the library. I read most of the stories in this collection, and came out with mixed feelings. The collection was first published in 1959, and you can tell; it hasn’t aged well. 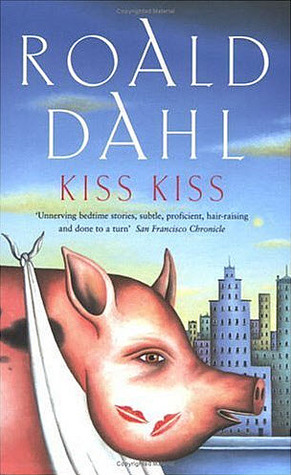 The stories are not what I would call anarchic or horrifying in today’s meaning of the terms, but they were interesting, funny and slightly odd – as you would expect from Roald Dahl. I enjoyed Mrs Bixby and the Colonel’s Coat the most. 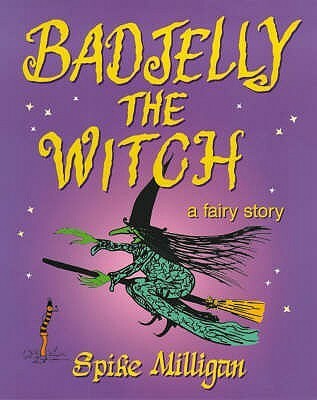 Badjelly The Witch can turn children into sausages or chop them up to make boy-girl soup. She can turn policemen into apple trees or bananas into mice and she is the wickedest witch in all the world. A charming fairy tale which has delighted children for many years, this edition is copiously illustrated with Spike Milligan’s own drawings which have been specially adapted and beautifully hand coloured. Spike Milligan’s Silly Verse for Kids was one of my favourite books when I was little, but I never read this one. I’m so glad I eventually got round to reading it! It’s exactly as bonkers as you’d expect – loved it! Definitely a fun, wacky book to read to young children.